Cheesy: Belo8's Steve Stoler baited viewers with an "exclusive" top-of-the-newscast "story" co-starring a purse and and a mousetrap. Apparently this has to be restated. D-FW is the nation's 6th-largest TV market, an area teeming with stories of import and impact to the millions living here. On Monday Belo8 answered that bell by leading its 10 p.m. newscast with an "exclusive" story that anchor John McCaa said couldn't be seen anywhere else. As well it shouldn't have been. Reporter Steve Stoler's dispatch from Denton, deemed the most important story of the day, concerned a woman who put a mousetrap in her purse to catch a thieving co-worker. "I didn't actually want to hurt him. I just wanted to catch him," said the woman, who had suffered the earlier loss of $40. Supposedly the thief was caught, although Belo8 didn't have any covert video of the trap being snapped. Oh the games stations play, with the once standard-setting Belo8 no longer above such stunts in its efforts to stop the even cheesier NBC5 from winning yet again in the 10 p.m. ratings. A mousetrap in a purse is strictly Tinytown stuff, but Belo8 played it like the story of the century Monday night. And this is the station with more prestigious Peabody and duPont-Columbia awards than all of its rivals combined. Meanwhile, NBC5 shockingly led its Monday night festivities with a story that actually mattered -- and that no other station reported. Mistress of the dark Susan Risdon took a break from mayhem to report on the two-day shutdown of the entire Eustace school district due to heavy student illness. The district serves nearly 1,600 pupils, so it's no small deal. CBS11 had an "exclusive," too, even if it really wasn't. Reporter Sarah Dodd put DISD associate superintendent Celso Martinez on a hot seat for his flaunting of residency requirements. He's had the position for seven months, but still lives outside the district despite regulations that give employees six months to either comply or face termination. The Dallas Observer's "Unfair Park" blog detailed Martinez's situation in a Feb. 2 post. But Dodd made him squirm on-camera after he initially evaded a question on whether he has "put money down on a new house in Collin County." Martinez at first fibbed and then fessed up. He also acknowledged on camera that his "extenuating circumstances" are that he simply wants to live wherever he wants. Dodd got a bit too breathless about it all, and most viewers likely could care less. Still, Martinez is a well-paid executive, and his flaunting of the rules further tarnishes a school district that regularly seems to be dazed and confused on just about everything. 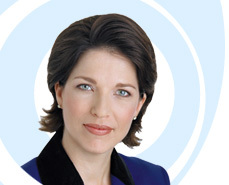 Later on CBS11, anchor Tracy Rowlett teased, "Hookers are going high-tech." It was the hook for an already much-reported story on how some prostitutes are abandoning the streets and instead advertising their wares on the heavily trafficked craigslist.com. Frontrunning NBC5 again loaded up on crime and tragedy, at one point reeling off 13 consecutive stories from these two basic food groups before yielding to a thumb-sucker on how Dallas firefighters are holding public meetings to find out what the citizenry thinks of them. The Peacock actually did have one other substantive story, though, and from an unlikely source. Reporter Brian Curtis, whose bargain-hunting beat usually amounts to infomercials for area merchants, alerted viewers to a one-time only tax deduction for a long obsolete excise tax that's still been showing up on phone bills. The standard refund, available on Line 9 of tax forms, is between $30 and $60, he said. Good information. 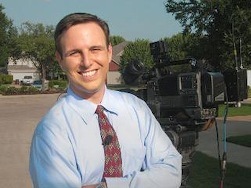 Viewers also benefited from interesting reports by Belo8's Janet St. James and Fox4's Jason Overstreet. St. James had an eye-opening tour of an outwardly "nondescript" Irving factory that so far is the country's only manufacturer of silicone breast implants. Its heavily protected technicians dress as though they're working in a nuclear power plant. St. James also demonstrated a new form of silicone that "when you cut it open, it has the consistency of a Gummi bear." "All are designed to feel more like the real thing," she added, something that makes women happier." "And men," a beaming male exec added. On Fox4, Overstreet reported from Frisco on how tax dollars spent on parks and playgrounds drive area property values upward. The end results are higher tax bases that justify the initial investment. It wasn't a showy story, but it's one that matters. Local stations should invest more time on these topics and far fewer resources on the visual cocaine of car wrecks, conflagrations and yellow police tape. CBS11 reporter Brooke Richie likewise contributed something of worth with a piece on Allen's only and constantly jammed post office, built when the city had a population of just 2,000. Allen now has 76,000 residents, more than enough to justify another post office or two. On the "happy talk" front, rascally Belo8 weatherman Pete Delkus has made it a habit of goading sports anchor Dale Hansen, an old hand at opening his mouth without any extra provocation. Delkus began Monday's weather segment by cozying up to anchors McCaa and Gloria Campos: "I want you guys to know we are not just here for Dale Hansen, Gloria. This is all about you and John tonight. Take a look at these numbers (sub-freezing temps in the Midwest). We're gonnna let you know the way things look right now across the country, as we -- Dale, does this make you sick, this little animation here that we just did? We'll zoom in." Hansen stifled himself until after Big Pete closed shop. Then he noted the day he spent in St. Cloud, Minn., where it was 72 degrees below zero counting the wind chill. "I didn't age for three days," he cracked. "Then I thawed out and here I am." He still hasn't warmed up to ex-Cowboys coach Bill Parcells. Referring to Troy Aikman's appearance at Roger Staubach's 65th birthday party, Hansen said, "We were gonna talk to him about the coaching search, but then he said Bill Parcells was not a failure and did a very good job, so I didn't want to hear any more." The other three stations did talk to Aikman, whose close friend, Norv Turner, is still considered the frontrunner. Aikman said he'd have more of a rooting interest in the Cowboys if Turner's the man, but otherwise didn't say much. Hansen couldn't resist closing Belo8's newscast with this: "He (Aikman) really doesn't think it's his place to give that kind of opinion (on Turner). And he's dead wrong about Parcells."